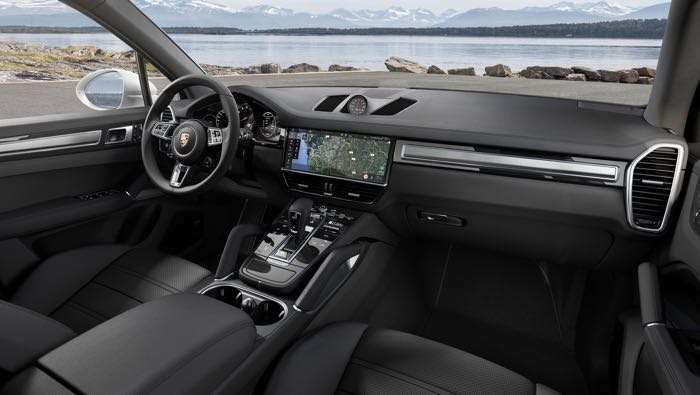 Porsche has announced the launch of their new Porsche Cayenne Turbo at the Frankfurt Motor show. This new SUV is powered by a V8 biturbo engine that produces 550 horsepower. This gives the car some impressive performance. 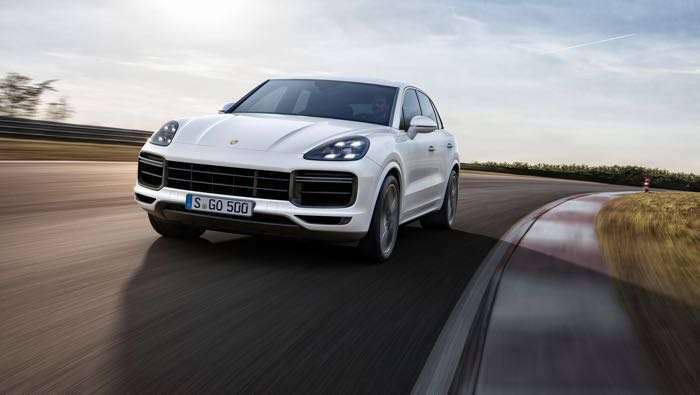 The Porsche Cayenne Turbo has a 0 to 62 miles per hour time of just 4.1 seconds. If you go for the optional Sport Chrono package then this is reduced to 3.9 seconds. It has a top speed of 178 miles per hour. The four-litre V8 biturbo engine delivers 404 kW (550 hp; Fuel consumption combined 11.9–11.7 l/100 km; CO2-emissions 272–267 g/km). The increased driving dynamics are based on the combination of innovative technologies, such as active aerodynamics including roof spoiler, controlled three-chamber air suspension, mixed tyres and the new high-performance brake. 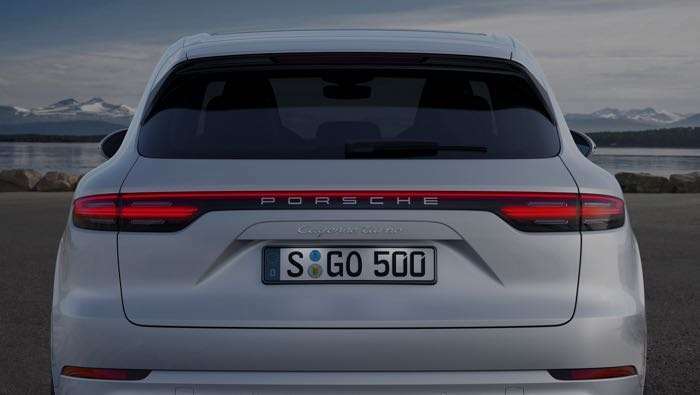 With additional options, such as rear-axle steering or electric roll stabilisation with a 48-volt system, the SUV can even achieve the driving characteristics of a true sports car. 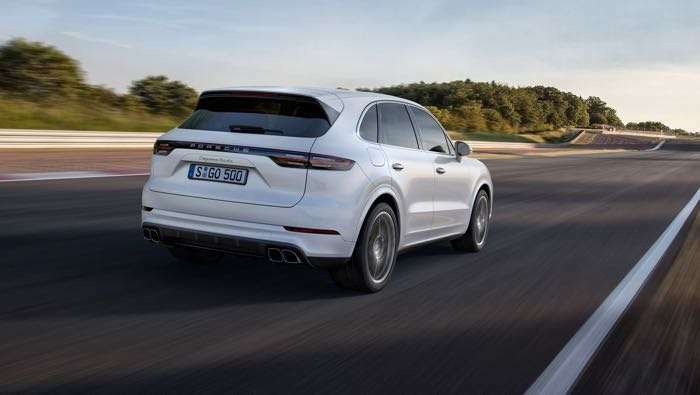 You can find out more details about the new Porsche Cayenne Turbo over at Porsche at the link below.